This post may contain affiliate links. If you sign-up for services or buy something through links below, we may earn an affiliate commission. Read my full disclosure policy here. Wonder what sets you apart from the people that seem to crush their financial goals? They seem to be everywhere on Facebook, blogs, radio shows, and websites. They pay off mountains of debt and scream about debt freedom, or maybe they save gobs of money in a record amount of time, or they have considerable success with their new small business. Success seems so easy for them too…almost annoyingly easy. But here’s the deal, many of these people have had challenges and tough circumstances, and more often than not, money wasn’t handed to them. In reality, they were driven, focused, and S.M.A.R.T. with their goals. These folks didn’t corner the market on goal success either, instead they just got the task DONE. The good news is that it is possible for the rest of us to be successful too. I interviewed several personal finance bloggers that have conquered their past financial goals and continue to challenge themselves going forward. Fortunately, they willingly shared their advice from their success and I am passing that information on to you, so we can ALL succeed this year. Deacon and his wife paid off $52,000 in debt in 18 months. His 2017 goal is to make $100,000 in online income. Aja’s wanted to boost her online income to an additional $2000 a month. She hit that goal in September 2016. Her 2017 goal is to save $20,000 in cash. Elle and her husband paid off a car loan and saved cash for their next car. Their 2017 goal is to boost their savings rate and get their expenses down to $30,000 a year as they work towards financial independence. Maureen eliminated $79,000 of credit card and student loan debt less than 3 years. Her 2017 goal is to earn $10,000 a month in online income. Chris and his wife made a financial goal to switch to an all cash lifestyle, instead of relying on credit cards. Their 2017 goal is to wipe away $30,000 from their mortgage to keep them on track to pay it off in 36 months. Jessi and her husband paid off her student loans. Their 2017 goal is to pay off the remaining balance on their mortgage ($27,900) and be DEBT FREE! Jackie and her husband paid off $147,000 of debt in 10 years and are debt free. They’re still working on developing their goals for 2017. Shannon and her husband paid off $22,000 in nine months. Their 2017 goal is to save for a down payment on a house. As you can see, everyone’s achievements were different, but each one was significant to that person. When I read through these achieivers’ answers, I discovered common themes in their advice and stories. It can be difficult to watch others succeed with their goals. You envision yourself in that position, but it seems like it’s taking forever for it to happen to you. What if we stop comparing ourselves to others and instead realize that there is much to learn from the achievers. Jacki, from The Debt Myth, stresses to give yourself a break, because YOU get to decide what’s right for your life. You don’t have to conform to what other people are doing or what they think you should be doing. She goes on to suggest that you spend some time thinking about what you would like to accomplish. You can only focus on one thing at a time, so choose what matters most to you and once you’ve narrowed that down, commit to doing one thing each day to bring you closer to the goal. Maureen, from The Debt Free Mess Free Life, suggests that you understand what motivates you to act unwisely and spend frivolously (if that is your situation). What need are you trying to fulfill by over spending or shopping? If you figure that out you can then work to find healthier ways to fill the void and you can free yourself permanently from the bonds of debt. Declare that this will be the year that you START. We tend to get so wrapped up wishing and dreaming about the end result that we never start the process. Making financial goals can be intimidating, but make a commitment to START…and continue on to the next step. Once Jessi Fearon, aka, The Budgeting Mama and her husband made a commitment to pay off the student loans, they developed a plan to throw everything at the debt. They also made the commitment to stay away from debt for good. Deacon, from Well Kept Wallet, says, you need to map out a step by step plan to make your goals happen. Shannon from Growing Slower says her most powerful strategy to achieving their goal was to write it down and have a plan. She and her husband also used a visual motivation chart posted on their refrigerator. That simple reminder was right in front of their eyes every time they opened the door and kept the big goal in the forefront of their minds. Each month when they do their budget, they update their chart. Jacki and her husband take the month of January to map out their goals for the year. Once the goals are set, they focus on one step at a time and communicating regularly. Aja from Principles of Increase recommends creating a vision board to help you achieve your goals. She suggests that you think about your obituary, where will your life end up and what will you be remembered for. Then create a plan to get there. If your big dream requires money, start saving, begin to budget, and direct your money in a way that you will be ready for opportunity when it comes up. Shannon offers a free printable goal planner through her website. 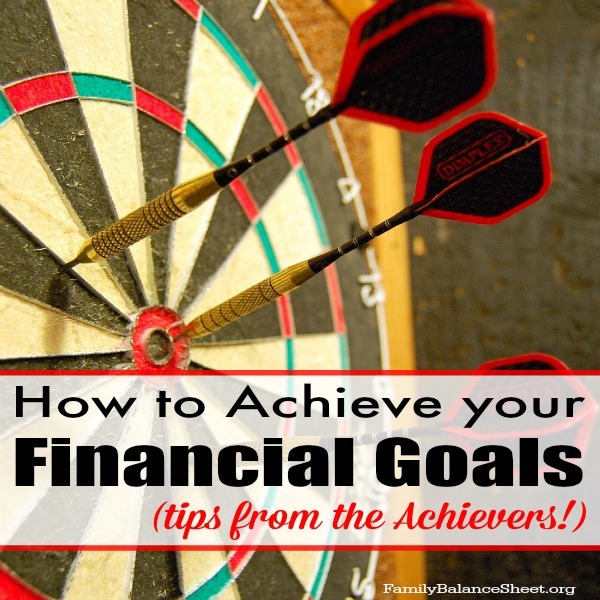 How can you Achieve your Financial Goals? Be S.M.A.R.T. Your goal should answer the what, why, where, and when, all relative to your desired outcome. Avoid ambiguity, and be VERY SPECIFIC. What exactly are you trying to achieve. As mentioned above, instead of making blanket statements, declare what your desired result is for the goal. Your goal should answer how much or how many with regards to the outcome. Who will your accountability partner be when the going gets tough with your financial goals? Will it be your spouse, coworkers, family, a Facebook support group? Financial goals can be difficult and overwhelming, so it’s important to be on the same page with your partner as you work through your goals. And if you’re going solo with the financial goal, who will be cheering you on in your journey? For accountability, Elle and her husband will spending their money dates analyzing their numbers. She will also be sharing their monthly budget on her website, Couple Money and creating monthly challenges to keep herself and others motivated. Deacon’s big goal for this year is to make $100k in online income. He will be tracking and publishing his income each month on his website to hold himself accountable. You can see his income reports and follow along on his journey. Elle suggests you break down huge goals into manageable bites. Focus on one step until you reach it and then move on to the next and so on. Jessi suggests making a realistic plan. Write out debts from smallest balance to largest balance. Look at your budget to determine if there are extra funds to apply to the smallest debt each month. 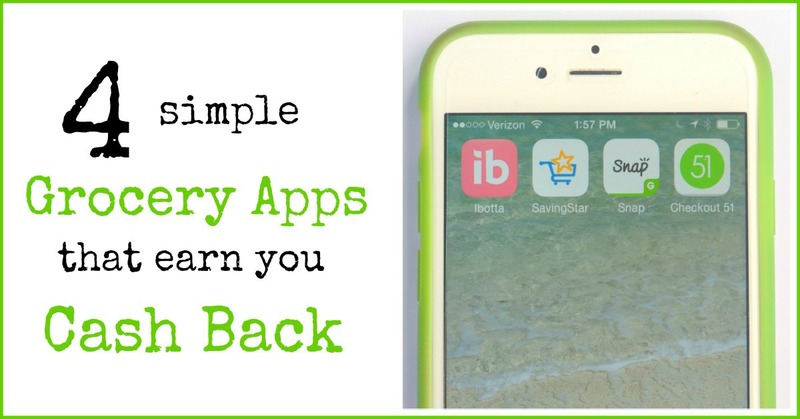 If you don’t have any wiggle room in your budget, then concentrate on generating extra income. She and her husband will be working harder to make extra additional income. Jackie says the number one strategy for achieving their goal of debt freedom was to stay FOCUSED on the current step every day until that step was complete. They spent time daily focusing on making progress toward the overall goal of debt freedom and reminding themselves what life would be like once they were debt free. They took it one step at a time though, first by building up emergency funds as quickly as possible, then by paying off the credit cards and committing to no new debt. Chris of Money Peach suggests that you start off by doing ONE single thing well with your finances. Too often, people will try to do 10 different things all at once and ultimately are only putting 1/10 effort to each goal. Start by putting 100% effort into creating, implementing, and sticking to a monthly budget. Once that budget is a well-oiled machine, move on to your next task. My husband and I also have a goal of debt freedom, but we’ve put together micro-S.M.A.R.T. goals to get us there. We’ve been paying off non-mortgage debts since 2013. The notes consisted of business loans and my husband’s student loan and we are projecting to be done in 2018. That’s a lot of time, but our non-mortgage debt totaled six figures, so we broke our debt into smaller chunks. We focused and paid off 2 loans by end of 2015, and one loan in 2016. In 2017, we are committed to paying off the next loan, and by the end of 2018, we will pay off our final non-mortgage loan. Give yourself a challenging deadline and to stay motivated towards your goal and attach a reward for hitting the deadline. When we wrote our Debt Freedom Plan, we included rewards for hitting major accomplishments. We plan on taking a family trip to Disney when we pay off our non-mortgage debt and a trip to Hawaii when we pay off our mortgage. Conversely, you could give yourself a consequence too if you don’t hit the goal. A very good friend gave herself one year to get her new business off the ground. If she didn’t achieve the goal, she would go back to her previous employer. Guess what? She nailed her goal and is continuing to grow her business. Rememebr that the sacrifice is short term. When making spending decisions, Deacon suggests asking yourself, “how will this impact me paying off my debt (or whatever your financial goal might be)?” Sacrifice for the short term and it will be worth it. (1) Live on a budget. 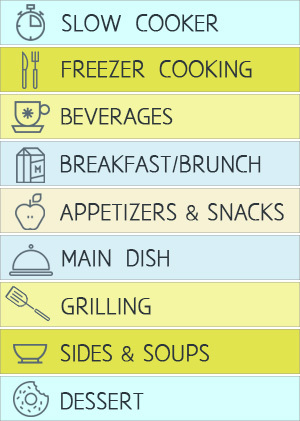 Chris and his wife made a financial goal to go to an all cash lifestyle on budget categories such as groceries, clothing, restaurants, and gas. They wanted to feel the money leave their wallets in real time vs. waiting for the bill to come at the end of the month, so they used envelopes for these categories. They fill the envelopes twice a month and only spend what they allotted for each category. They compared their cash months to the months that they used credit cards and were blown away by the results. When Elle from Couple Money was paying off her car, she set up automatic payments and when the car was paid off, she continued to send that money to a car replacement fund, rather than spend it elsewhere. It was already a part of her budget, so she wasn’t missing the funds. (2) Find a Side Hustle. If you’ve reduced your spending to the point of tears, and you still don’t have the funds for your financial goals, then, my friend, you have an income problem. There are many ways to increase income from taking on an additional job, selling your clutter, and turning your hobbies and passions into side hustle. What I like about the term, side hustle, is that it infers you are on a mission. You’re hustling and working towards a goal. Aja achieved her goal of earning extra income by freelance writing and side hustles. My husband teaches private swim lessons to competitive swimmers and adults. A good friend makes cupcakes and candy, and another friend is building a profitable direct sales jewelry business. Honestly, everyone’s goal should be to earn EXTRA income. Aja writes about many different ways to Side Hustle, from blogging, freelance writing, voice over acting, and more. I’d love to hear what your goals are for this year. Let us know in the comments, and go out and crush them! 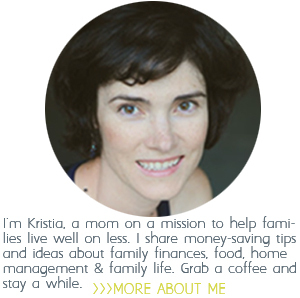 Thanks for giving me the chance to share my tips for paying off debt with your readers, Kristia! Wishing them all the best in achieving their financial goals this year! great read! I truly agree on the be realistic part! Thank you so much for sharing my story and tips with your readers! Thank you so much for sharing our story darlin’! And I’m so inspired by all these amazing folks! 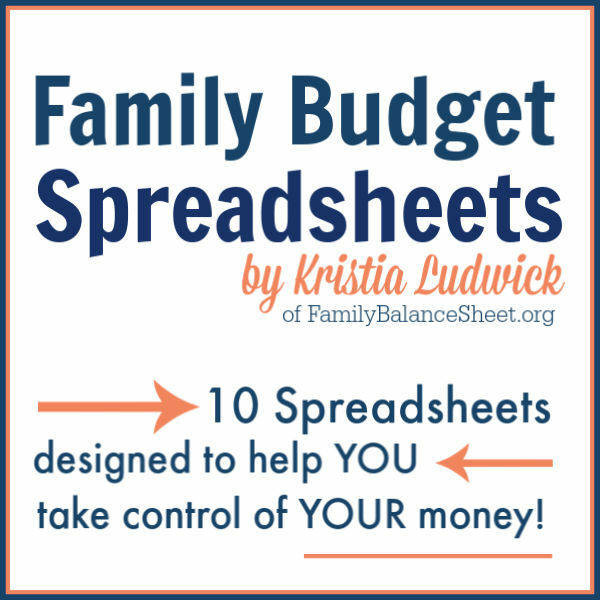 Follow Kristia Ludwick's board Best of FamilyBalanceSheet.org on Pinterest. Kristia Ludwick is a participant in the Amazon Services LLC Associates Program, an affiliate advertising program designed to provide a means for sites to earn advertising fees by advertising and linking to Amazon.com. I love it when you share! Please keep in mind that all images and text on this site are property of Family Balance Sheet. Feel free to use one or two photos provided that a link back to my original post is included. Please do not remove any watermarks, crop, or edit any of my images without first obtaining written permission from me. Please do not replicate or copy any content from Family Balance Sheet without written permission from me. All free printables & spreadsheets offered are for personal use only. Pinning is always welcome and appreciated! Thank you! FamilyBalanceSheet.org is for informational and entertainment purposes only. I am not a financial professional. I’m a girl who loves to talk and read about personal finance and how it relates to hard working families. If you feel you need financial advice, please seek out a competent professional. 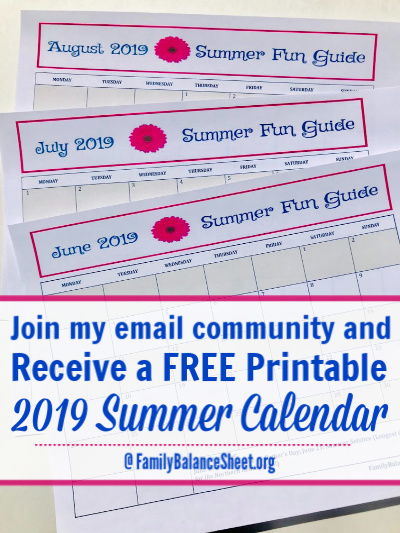 The content on FamilyBalanceSheet.org may contain affiliate and/or referral links that help support this site at no additional cost to you. I only recommend products and services that I believe in.